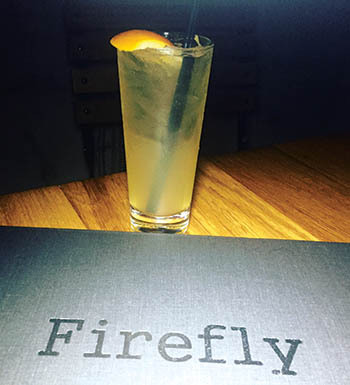 A valley institution for years, Firefly on Ventura Boulevard is a Studio City go-to place for all things “cool” for people in the know—because if you don’t know it’s there, you’ll pass it without blinking an eye. There’s no signage outside letting you know there’s a restaurant and bar before you. 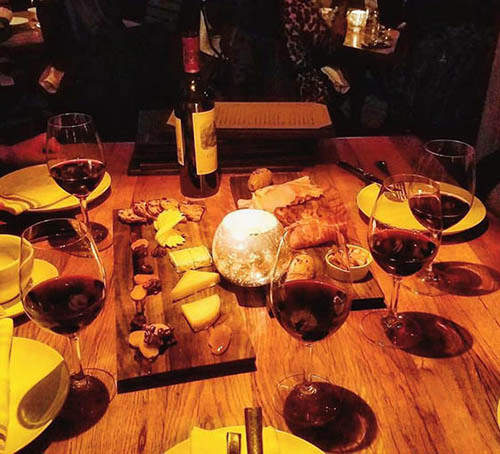 But if you’re hip to the spot, then you know where to get away to a swank and inviting setting where you can relax in style and enjoy a drink or indulge in a great meal in a chic environment. I remember walking into Firefly once and spotted an amicable George Clooney chillin’ at the bar. 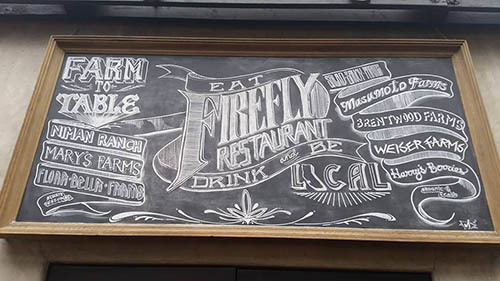 It’s a celebrity hotspot for good reason as Firefly boasts an elegant fine dining experience with a weekend late night lounge feel with a sophisticated ambience where walls are covered in vines and outdoor greenery. And don’t forget the stunning library that just screams have a drink here. 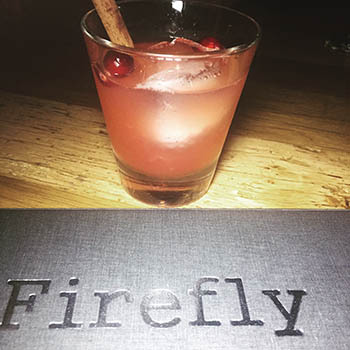 Drinks on the cocktail menu are hit and miss with the mediocre Strawberry Fields (vodka, lemon, house made strawberry simple, and champagne) and the average Pineapple Express (vodka, Elderflower liqueur, lemon, pineapple) and the awful Baby It’s Cold Outside (a toxic mix of rye whiskey, lemon, house made cranberry and cinnamon simple). But the Barrel Aged Old Fashioned Love Song with bourbon, Luxardo Maraschino, bitters and citrus is a damn good Old Fashioned. Definitely have one—maybe two if you really want to make a night of it. Our delectable dinner started with the killer Maine Lobster Bisque with poached lobster, tarragon, sorrel and puff pastry. 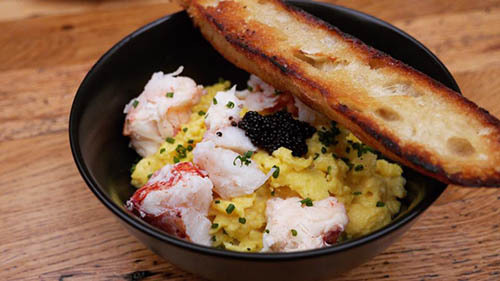 There was a slight sweetness that didn’t seem necessary but the lobster was so nice and the richness of the dish made this a must-have starter. I think my MVP of the night was the Mushroom Pappardelle with hen and oyster mushrooms, ricotta and truffle butter. OMG! 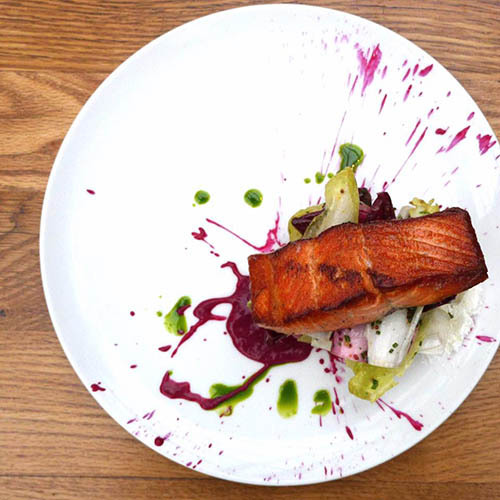 All I can say about this dish is that it was absolutely delicious. Consider this another must-have. This winning item is reason enough to visit and go back again for more. The Brussels Sprouts with saba, lemon crème fraiche, and walnut was absolutely awesome. 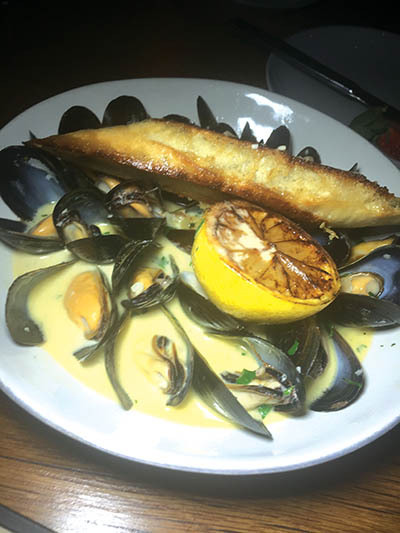 It was so flavorful and satisfying as were the PEI Mussels with leeks, fennel soubise, and garlic parmesan toast. Consider the sprouts a great sharable item. 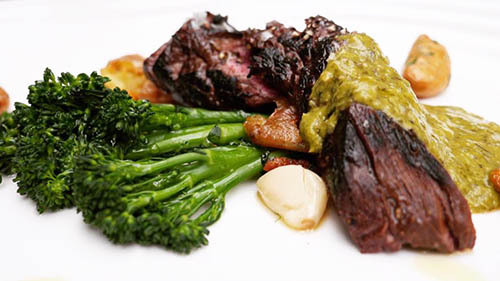 For our entrée, we went with the Creekstone Farms Filet Mignon with smoked potato puree, broccolini, and bordelaise. This was a hearty dish that was actually elevated with a nice glass of red wine. 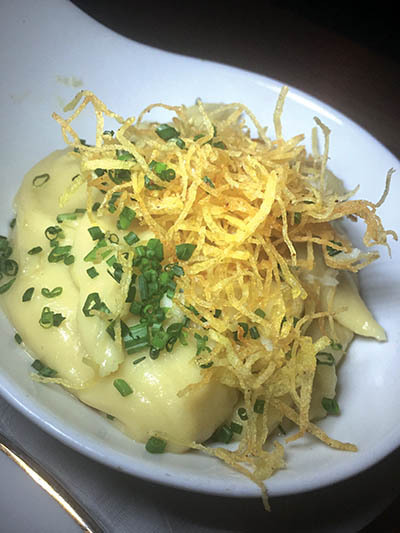 And the Smoked Potato Puree was so good that we even ordered a side of it because we just couldn’t get enough. 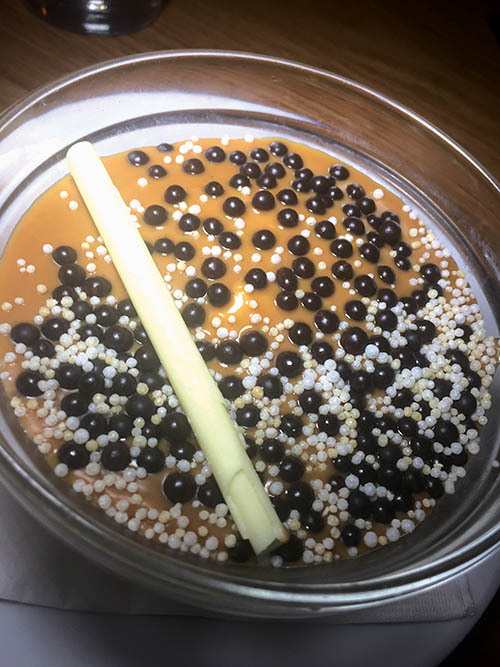 Save room for dessert, which may change occasionally, but during our visit we indulged in decadent delights like the Chocolate Cake, which sounds simple enough but it was actually a wonderful chocolate overload, and the Butterscotch Budino, which was absolutely divine. 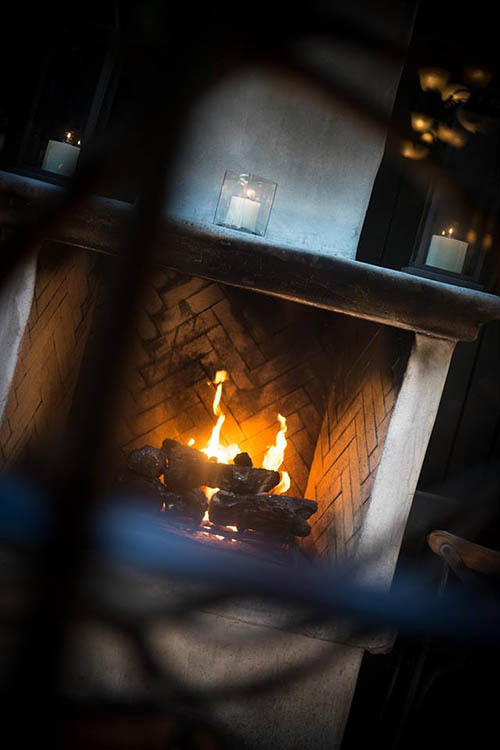 Cool and chic amidst busy Ventura Boulevard, Firefly is a wonderful place to getaway and indulge in good eats and a libation or two and forget your troubles. 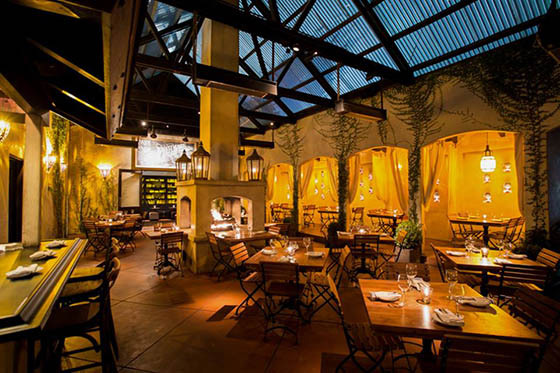 Firefly is located at 11720 Ventura Blvd in Studio City. Hours: Tuesday-Saturday 5pm-2am; Sunday Brunch 11am-3pm; Sunday-Monday 5pm-1am. Call (818) 762-1833.